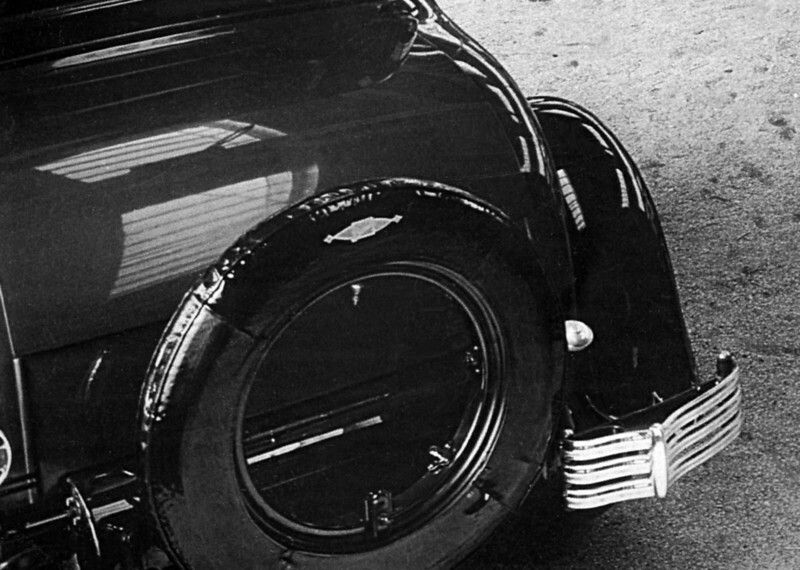 From the 1929 Annual AutoShow in Lafyette, IN: Norm McKendry noticed that 1929 Buick coupe that had a rear spare tire cover with the Silver Anniversary logo. I assume this was a dealer option though I have seen reference to a "deluxe wheel cover" option in the Buick literature. The rear logo is a nice echo of the front radiator emblem.